Take long trips confidently in the 2018 Mazda6. This popular mid-sized sedan is designed to provide you with assistance wherever you go. 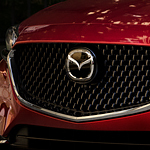 You can get the Mazda6 with an advanced Lane Departure Warning System. Sensors around the body of the car work to keep track of the road markings around you. Should you start to drift into the next lane without using your turn signal, the car will let you know. It does this through audible and visual alerts. For even more protection, you can get the Lane-Keep Assist System. With this feature, a lack of response after the alerts will trigger the car to provide automatic steering assistance. The car will provide light guidance to ensure that you can get back in your lane safely. See how these features work by visiting us at Piazza Mazda of Reading. Our team is more than happy to give you a tour and set you up for a test drive.